Dive right in with one of our pre-built projects. 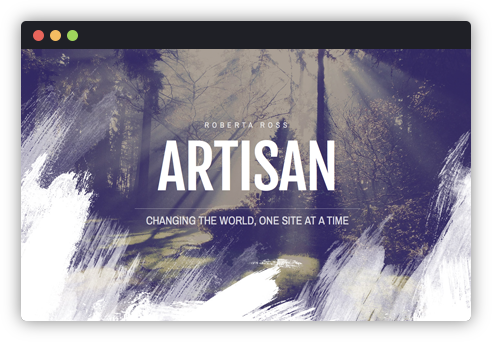 Take a site design we’ve hand crafted using Foundry and tweak it to be your own. Download some free, pre-built project files below to get you started right away. You can also purchase some of our additional project files to help you build even more sites. Each project file uses just the stacks included in Foundry. 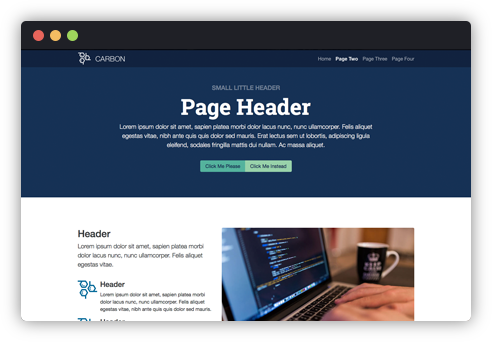 A hot little template with a contained main content area and a large gradient banner backdrop, and a great image gallery. 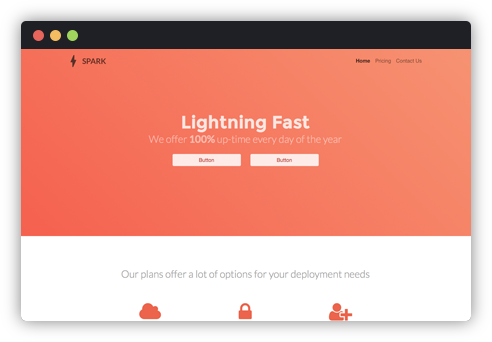 This super simple product site has a straight-forward setup, but presents its content with style using Cards, Badges and more. A subtle, clean site design, with nice white space and a simple layout. Uses the Icon Bar stack for site navigation. 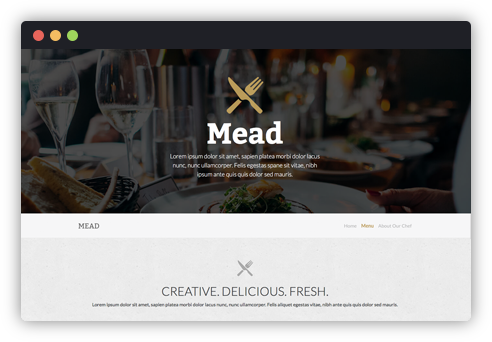 A restaurant styled project file with a bit of flair! 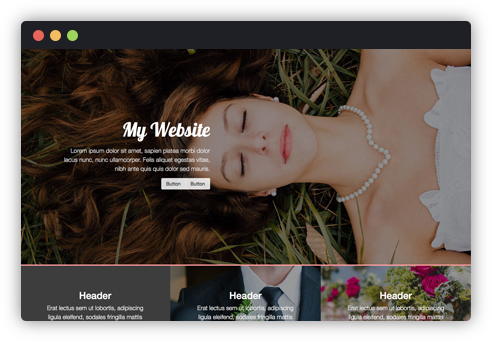 We use unique, custom column layouts, a gorgeous image gallery and more in this design. A gorgeous, one-page wedding layout. We use button groups, a beautiful banner setup, a modal contact form for RSVPs, and more. 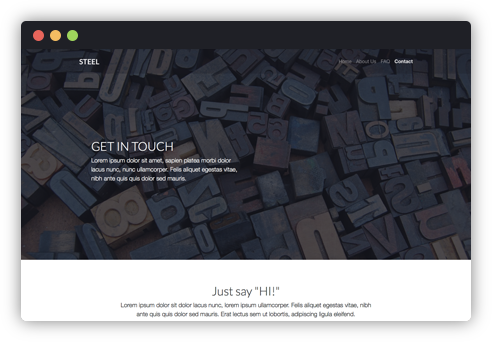 A sleek design that utilizes a slider in the upper section of the page, along with full-width containers, and unique layouts. 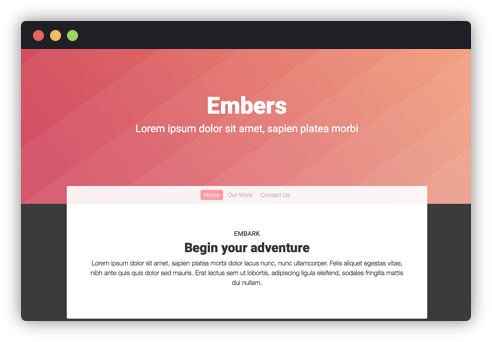 A sleek design with gorgeous gradients and translucent overlays to help your content really come to life. NOTE: Pre-built project files require the Foundry theme and Foundry suite of stacks and RapidWeaver 7 or newer.